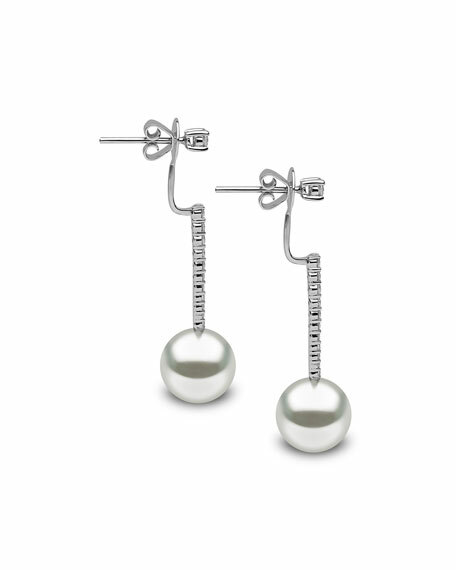 Yoko London's modern pearl earrings offer a chic and stylish way to wear pearl earrings every day. With a light and easy-to-wear design, these earrings look just as lovely with a casual day look as they do with an elegant evening ensemble. Linear drop earrings by Yoko London. Brilliant-cut diamond post and stems. Naturally colored, South Sea cultured pearl drops, 11-12mm. Established in 1973, Yoko London is a leading fine jeweler renowned for exquisite pearls in rare natural colours and exceptional sizes. 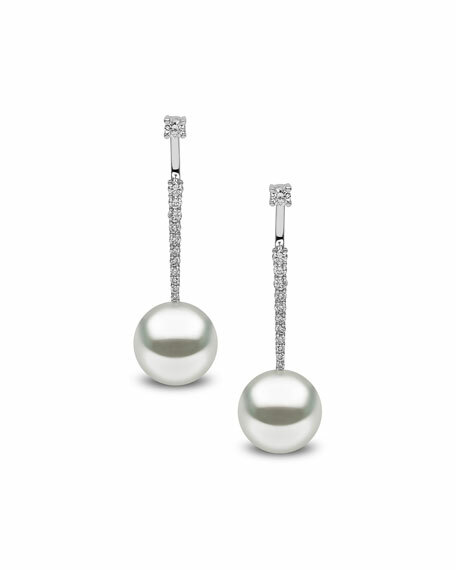 The family run team consists of the finest pearl specialists in the world. Every pearl is hand selected for each individual design, and their contemporary creations are intricately crafted to celebrate the captivating beauty of these precious gems.